Mauro is currently Senior Vice President for Commercial Planning, Marketing and Innovation at Eni Retail Market G&P with responsibility for advertising, digital, relationship marketing, commodity product development and pricing, technological innovation and new downstream development in such domains as smart energy management and home services. Previously, Mauro was Chairman and CEO at Altergaz (now Eni gas & power France S.A), Paris-based Eni’s subsidiary and new entrant in the French gas market. Throughout the nearly 2 years of his mandate, he led the turnaround of the company and the introduction of the Eni brand on the French residential gas market. 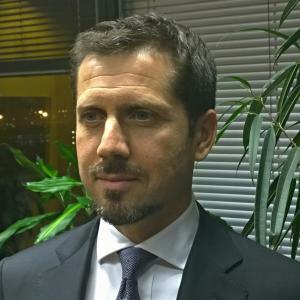 In 2010 and 2011, Mauro was CEO at ACAM Clienti and then at Isogas, two Italian local energy utilities, JVs between Eni and local municipalities. Between 2007 and 2010, he played a major role in Eni’s entry into the Italian retail power market and later ran Eni’s Italian retail sales and customer care operations for the 6+ millions gas & power customers in Italy. Before joining Eni in 2006, Mauro had spent nearly 9 years with McKinsey serving mostly financial institutions and utilities. In 2000, he received an M.Sc. in Finance from London Business School.